There is a lot of celebrity advice out there. This year Cameron Diaz's The Body Book has had a sterling run, featuring highly in Amazon's 'Health, Fitness & Dieting' list (currently residing at #7 despite being published in January). If 2014 has proved anything, it's that the trend of celebrity endorsed health books is not in decline. "YOU ARE MORE BEAUTIFUL THAN YOU HAVE EVER IMAGINED." Diaz's book has performed well by utilising this pep-talk approach and many reviewers have called the title 'very likeable'. Equally however, the book has garned some harsher criticism from other, more health-focussed sources who are concerned that Diaz's vague optimism does little to compound legitimate life-style changes. "Sometimes when my family is not eating pasta, bread or processed grains like white rice, we’re left with that specific hunger that comes with avoiding carbs". "I'd rather smoke crack than eat cheese from a tin." "I don’t think anything that’s natural can be bad for you." But that's enough Paltrow-shaming for now. We can also look to a variety of other celebs who are guilty of promoting their own special flavour of health advice in their books. 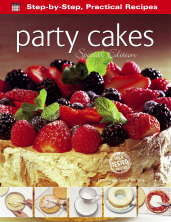 There are some surprises, such as Cooking with Coolio, in which the rapper claims to be "the ghetto Martha Stewart"; there's also Karma Cookbook: Great Tasting Dishes to Nourish Your Body And Feed Your Soul, written by a certain Boy George; plus Gerard Depardieu's straight-talking effort My Cookbook. Here at Flame Tree, we like to keep things a little more simple. We believe healthy eating shouldn't be confusing and veiled behind celebrity nonsense. 1. Remove the skin and any fat from the lamb fillet and cut into thin slices. Place in a shallow dish. Mix together the soy sauce, Chinese five-spice powder and orange juice and pour over the meat. Cover and leave in the refrigerator for at least 30 minutes. 2. Meanwhile, blend the jam and the stock together, pour into a small saucepan and bring to the boil. Simmer gently for 10 minutes until slightly thickened. Remove the stones from the fresh cherries, using a cherry stoner if possible in order to keep them whole. Add the cherries to the sauce. 3. Drain the lamb when ready to cook. Heat the wok, add the oil and, when the oil is hot, stir-fry the slices of lamb for 3–5 minutes until just slightly pink inside or cooked to personal preference. 4. Spoon the lamb into a warmed serving dish and drizzle with a little of the cherry sauce. 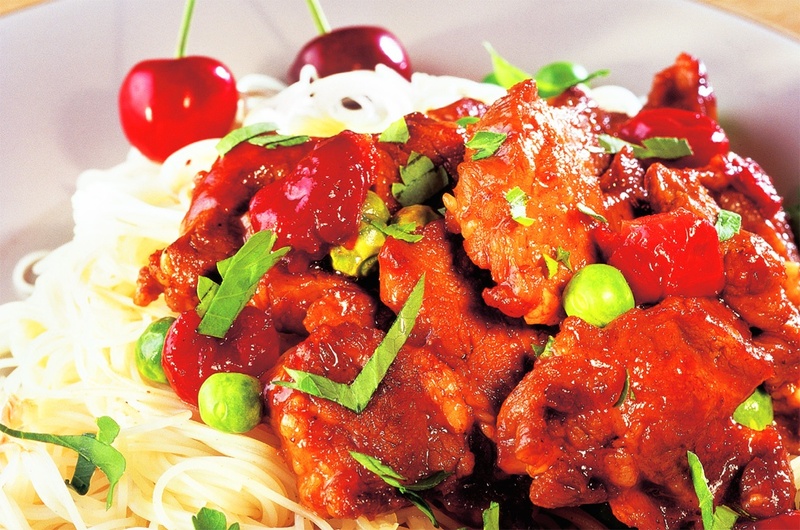 Garnish with the chopped coriander and the whole cherries and serve immediately with peas, freshly cooked noodles and the remaining sauce. This recipe was taken from our new book Cooking on a Budget (ISBN: 9781783613007). Check it out on Amazon here. For more interesting health tips that (apprently) work, click here. For more outrageous Gwyeth Paltrow quotes, click here. 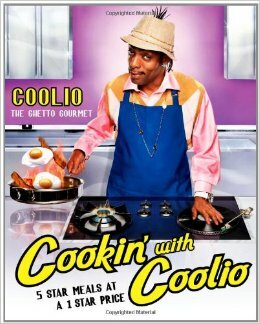 Remind yourself how Coolio made his name, by playing his track 'Gangsta's paradise' whilst you make dinner.